La Quinta Resort and Club. Golf La Quinta Resort. La Quinta Resort golf course details and information about La Quinta Resort and Club in California. 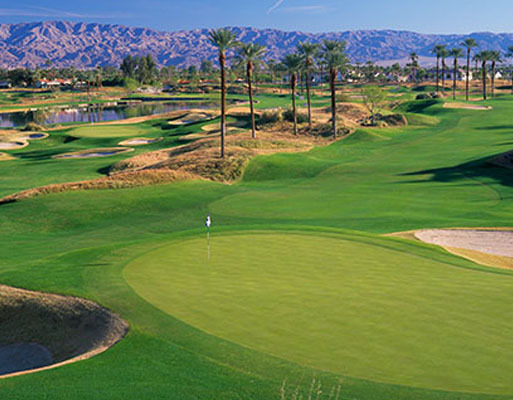 La Quinta Resort and Club has 5 public, championship golf courses. The club is 45 acres at the foot of the Santa Rosa Mountains. The golf courses have native plants, rugged dirt, and quiet air similar to the desert. Beautiful mountain views offer players a rich experience like no other. In addition to golf at La Quinta Resort, there are also other amenities available. They have a tennis facility, a spa, and 41 pools. There is also a clubhouse for eating and drinking throughout the day. Experience the luxury of La Quinta Golf at this amazing resort.